Late on Friday afternoon before a holiday week, the Centers for Medicare & Medicaid Services announced the 2018 premiums for Medicare Part B coverage, and the result is a more complicated way of determining premiums for enrollees in Medicare Part B. In addition, a number of insurers, including a popular Blue Cross Blue Shield option, are offering reimbursements for at least part of enrollees’ Part B premiums. While that benefits enrollees, it also adds another level of complexity to determining which plan is right for you in 2018. The standard monthly premium for Medicare Part B will remain $134, the same as for 2017. About 30 percent of enrollees, including most current Federal retirees, were already paying this amount in 2017, so for them, there will be no change. For Part B enrollees whose monthly Social Security benefits will rise by $25 or more in 2018 due to the 2% Social Security COLA, their Part B premiums will rise to the $134 level. Part B enrollees whose 2% increase in Social Security benefits results in a less than $25 monthly increase will see their Part B premium rise equal to the amount of their Social Security increase. This formula meets the criteria set forth in the hold harmless clause that forbids CMS from deducting a Part B premium that would result in a decrease in monthly Social Security benefits. CMS estimates that about 28% of all Part B enrollees will fall into this category. In addition, some Part B enrollees with higher incomes will see changes in their income-related monthly adjustment amounts (IRMAA), which affects about 5% of people with Medicare Part B.
Enrollees who file an individual tax return with income of $85,000 to $107,000 (or file a joint return with income of $170,000 to $214,000) will see their monthly premium remain unchanged at $187.50. An additional level of complexity is the offering of Medicare Part B reimbursements by some Federal Employee Health Benefit (FEHB) plans. Aetna Direct continues to offer a fund to help pay Medicare Part B premiums ($900/self only and $1,800/self plus one or self & family). In 2018, Kaiser Permanente will reimburse up to $125 per month for the Part B premium in the Northwest (Oregon and Southeast Washington, Plan code 57) and Northern California (Plan code 59). The plan is called Kaiser Permanente Senior Advantage 2. Reimbursement is not available in the rest of California (Fresno or Southern California), Georgia, nor any other KP region at this time. In 2018, the Blue Cross Blue Shield Federal Employee Program is offering a $600 reimbursement to anyone enrolled in their FEP Basic Option plan. If two people are both covered by the FEP Basic Option and Medicare Part B, they both are eligible for the $600 reimbursement. Currently on the Blue Cross Blue Shield website, they say that Basic Option members with Medicare Part A and B can receive up to a $600 Medicare reimbursement account but do not offer any more details. The website says to check back in 2018 for details about the reimbursement process, which of course, is after the sign-up period has ended. There are also a number of High Deductible Health Plans (HDHP), which have higher annual deductibles and out-of-pocket maximum limits than other types of FEHB Program plans. These plans offer a Health Reimbursement Arrangement (HRA) that reimburse Medicare premiums and other allowable medical expenses using HRA funds. 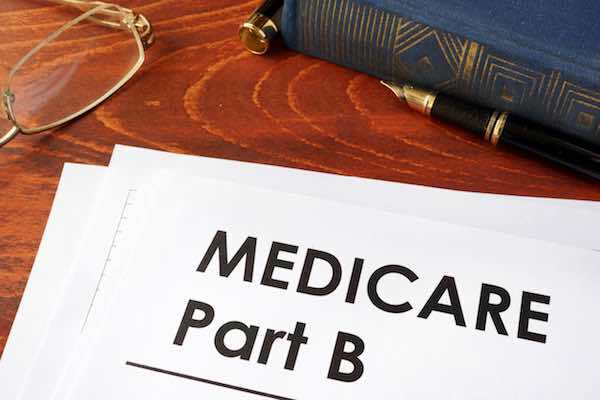 The reimbursements offered by some plans may soften the blow to some retirees who previously had decided not to enroll in Medicare Part B and face a late enrollment penalty if they now opt for Part B coverage. With all of these options, Federal retirees need to think carefully about which plan will best suit their needs. Most Federal retirees will see no change in their Medicare Part B premiums for 2018, while receiving an increase in their annuity, so this is a good year to consider both costs and benefits of the various plans.